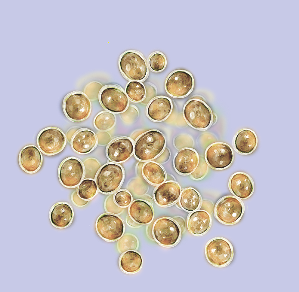 Isochrysis galbana is a small, motile golden-brown algae with two flagella. Reproduction is by simple fission. The T-ISO strain (CCMP1324) was isolated in Tahiti, French Polynesia in the South Pacific from a fish culture pond. This algae is known for being high in the omega-3 fatty acid DHA (Docosahexaenoic Acid), critical for nervous system development. 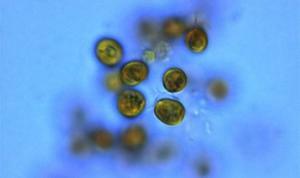 This algae is complimented well by SA’s Nanno, which has a high EPA (Eicosapentaenoic Acid) content. 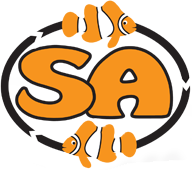 SA’s Iso is maintained in clean, single-species cultures grown from starter stock maintained in a cleanroom and grown using aseptic techniques, ensuring that you are getting the best Phytoplankton available. 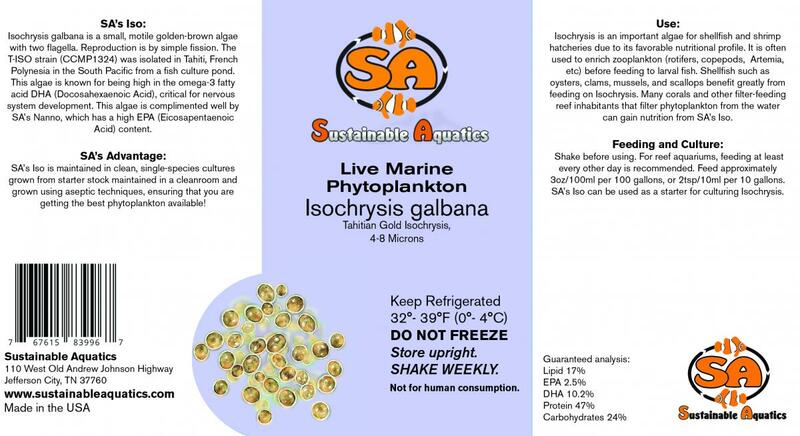 Isochrysis is an important algae for shellfish and shrimp hatcheries due to its favorable nutritious profile. It is often use to enrich zooplankton (rotifers, copepods, Artemia, etc.) before feeding to larval fish. Shellfish such as oysters, clams, mussels, and scallops benefit greatly from feeding on Isochrysis. Many corals and other filter-feeding reef inhabitants that filter phytoplankton from the water can gain nutrition from SA’s Isochrysis. Shake before using. For reef aquariums, feeding at least every other day is recommended. Feed approximately 3oz/100ml per 100 gallons, or 2tsp/10ml per 10 gallons. 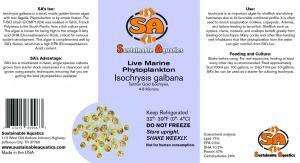 SA’s Iso can be used as a starter for culturing Isochrysis.